Climactic: Damien Cole — Part One: "Common Sense Campaigning"
Climactic is happy to welcome aboard Maxine Bazeley for her inaugural interview. Max will be bringing us stories from the Surf Coast of Victoria, the Greater Geelong region, about how the area is confronting massive changes in the face of the climate crisis. 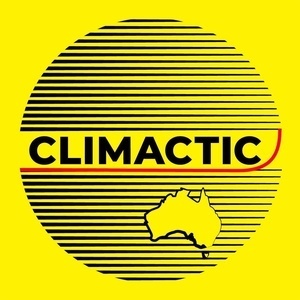 In this episode, Max talks to Damien Cole, independent candidate in the November 24th Victorian state election, about running a climate aware campaign. Damien has a refreshing, common sense approach to climate change, development of a fast-growing region, and putting the environment at the top of the list of electoral priorities. We loved this interview from Max, and it was so good we'll be bringing you part two of this extended interview next week. This marks a moment the Climactic team has been looking forward to from the beginning, the welcoming aboard of a new member of the burgeoning network, and we're so happy to be able to host stories from the Greater Geelong region. We are actively looking for more interviewers, in the capital cities, and regional areas. We're eager to train, assist, and work with the right people. Radio or interviewing not required, just a desire to converse with the everyday people working hard in our communities for a safe climate.